This two-story house plan was designed with convenience and functionality in mind. The Foyer displays a 12' ceiling and opens to the grand Family Room. The Family Room features a cozy fireplace, built-ins, and a 12' ceiling height. A gourmet Kitchen is located to the left, off the Breakfast Area, featuring a centered island, walk-in Pantry, and Breakfast Bar. 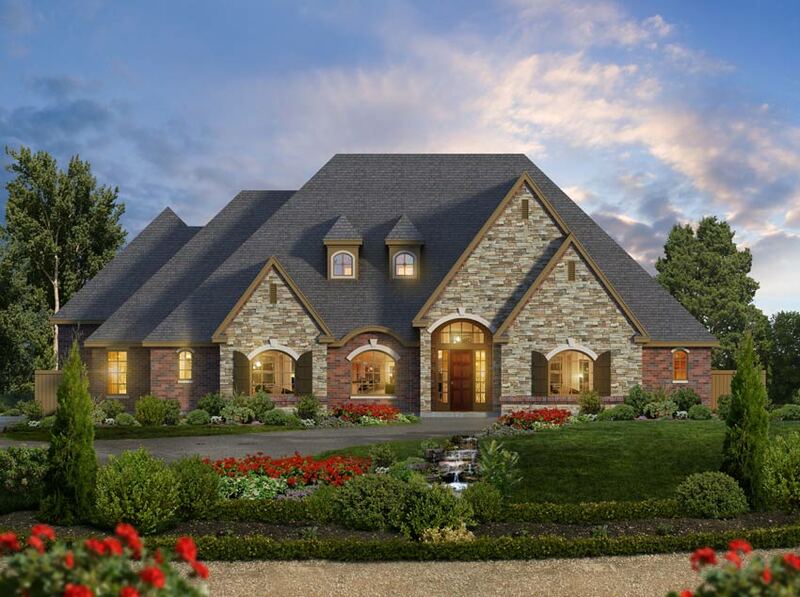 This two-story house plan can easily be modified into a one-story ranch. Three family bedrooms are located on the first floor boasting private baths, trey ceilings, and spacious walk-in closets. The Master Retreat is secluded at the rear of this house design. The Master Suite features trey ceilings, Outdoor Lounge access, a sumptuous Master Bath and huge Wardrobe Space. On the second level, a Game Room resides for entertaining guest. To view more details of this house or any of our Luxury House Plans visit us at Archival Designs.